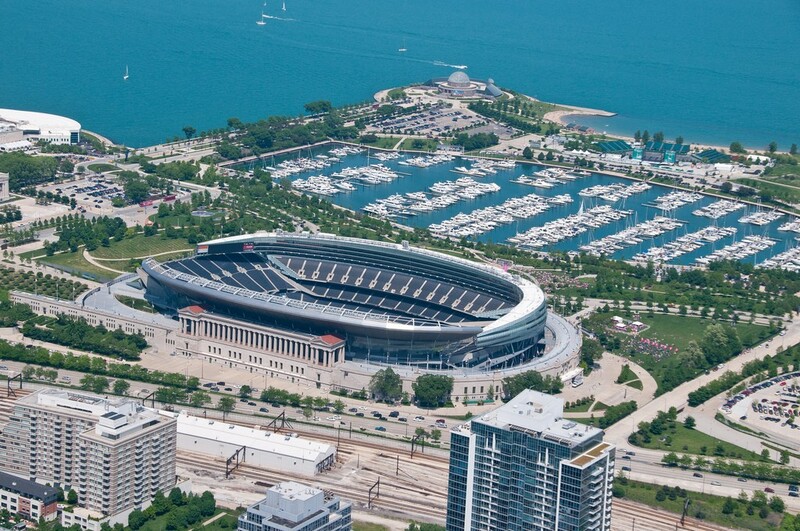 Located in the Windy City, along the shore of Lake Michigan is Soldier Field, home of the Chicago Bears. 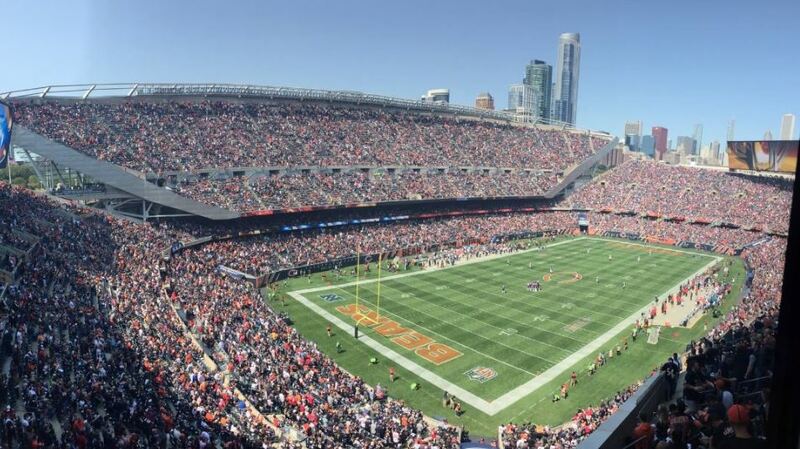 When some fans think of Soldier Field, they may assume that it is the oldest stadium in the NFL. Contrary to belief, the majority of the structure was built in the 2000s. The original Soldier Field opened in 1924 and had a seating capacity of 74,000. The Bears moved here from Wrigley Field in 1971. In the mid 1980s, discussion of a new stadium was the talk of the city. The Chicago White Sox (MLB) wanted a new stadium, Wrigley Field was over 70 years old and Soldier Field was over 60 years old. In 1985 there were discussions of building a new domed stadium in downtown for the city’s sports teams. By 1986, the Bears and the city began studying plans to tear down Soldier Field and build a new stadium south of it for $120 million. Financing issues and controversy over where to build the new stadium delayed the building process for several years. Over the next decade, there were talks of building a stadium for the Bears in Arlington Heights, McCormick Place, Elk Grove, in Gary, Indiana, in downtown Chicago and the west side of the city. Finally, in November 2000, the Bears and the City of Chicago announced plans to build a new stadium on the same site of their current home, Soldier Field. The Bears had a rich tradition of playing football at Soldier Field, the NFL’s oldest stadium at the time. The Bears decided to leave the historic Greek colonnades, Soldier Field’s signature feature. The rest of the stadium was demolished and the new stadium was built within the exterior shell. While their new stadium was being built, the Bears played the 2002 NFL season at Memorial Stadium in Champaign, IL. At the conclusion of the 2001 season, demolition and construction on the new stadium began. The name, Soldier Field, was not lost as the new stadium kept the same name. The Chicago Bears played their first game at Soldier Field II on September 29, 2003 against the Green Bay Packers. It has 61,500 blue seats throughout several tiers, improved seating, better sightlines, enlarged concourses, 8,000 club seats and 133 luxury suites. To preserve Soldier Field, the classic colonnades remain intact and serve as a lasting monument to Soldier Field’s glorious past. In addition, a 250-foot granite-wall sculpture continues to serve as a memorial to the men and women who served in the armed forces. Fans also are able to walk among the colonnades and the horseshoe promenade. The stadium has underwent few changes since opening. Before the start of the 2015 season the replaced the existing video/scoreboard with one 310% larger at 128 feet wide by 40 feet tall. 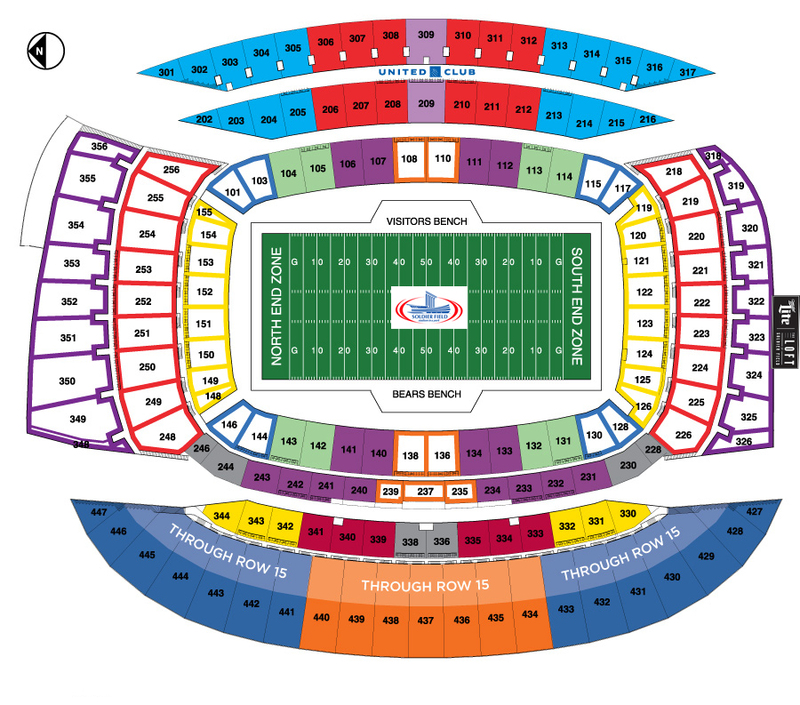 This will greatly improve the fan experience at Soldier Field.